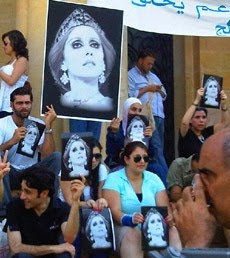 On the 26th of July 2010, Hundreds of Fairuz fans from around the world protested in front of the Lebanese National Museum in Beirut. The Committee for commemoration of Fairuz and the Rahbani brothers, stood in solidarity with Fairuz, they had one message to say "No to preventingFairouz singing" . Loudspeakers blared songs and excerpts of plays for Fairuz, in the presence of a number of artists such as Elham Shahin who flew from Cairo to take part in this protest. According to Shahin, Fairuz is one of the Legendary singers who gave a lot to the Arab world. Other artists were present as well such as Julia Boutros, Liliane Nemri, Roula Hamadeh, Asaad Abou Khalil, Claudia Marchillian, Nidal Al Ahmadieh, Roula Saad and a lot of media presence, as well as local and foreign enthusiasts of Fairuz. The demonstrators waved pictures of Fairuz in black and white, and distributed the statement to the participants explaining how the children and heirs of Mansour El Rahbani are restricting Fairuz, and accusing her of theft. 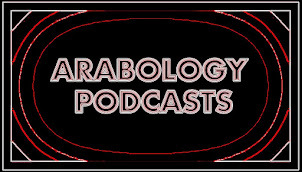 The dispute between Fairuz and the heirs of Mansour Rahbani began in 2008 when Mansour El Rahbani, alive at that time, sent warnings for Fairuz to stop the performance of the play (Sah El Nom) which was held in the Opera House in Damascus, Syria. After the death of Mansour El Rahbani, on the 13th of Januray 2009, his children Ousamma Rahbani and Ghady Rahbani continued the fight against Fairuz, asking her to stop performing any of the Rahbani Brothers works without getting their permission and giving them a share in the profit. The Ministry of Culture was also asked to act and do its duty to help Fairuz win this case. The statement said: "We Lovers of Fairuz in Lebanon and the world are asking the Ministry of Education to respond to the request of Fayruz who is asking to have the Rahbani Brothers as a unique entity without distinction between them her husband Assi and his brother Mansour. " The protesters also asked for Fairuz to come back soon on stage and give all the fans what they have longed for, a magical voice and a unique presence.